Good morning! I'm so excited... only 1 more sleep until we leave for Salt Lake City and Convention 2015! I still have a ton to do, but I'm happy to say that I was organized enough to have a full week of blog posts scheduled! That's more than I have been posting while at home. I likely won't post to my blog while I'm gone but I will be posting on both Facebook and Instagram (@sherrystamps) if you'd like to follow along. I have got a fun series of posts for this week - with a couple interuptions to break it up:) The series focuses on the Hello Life project kit. 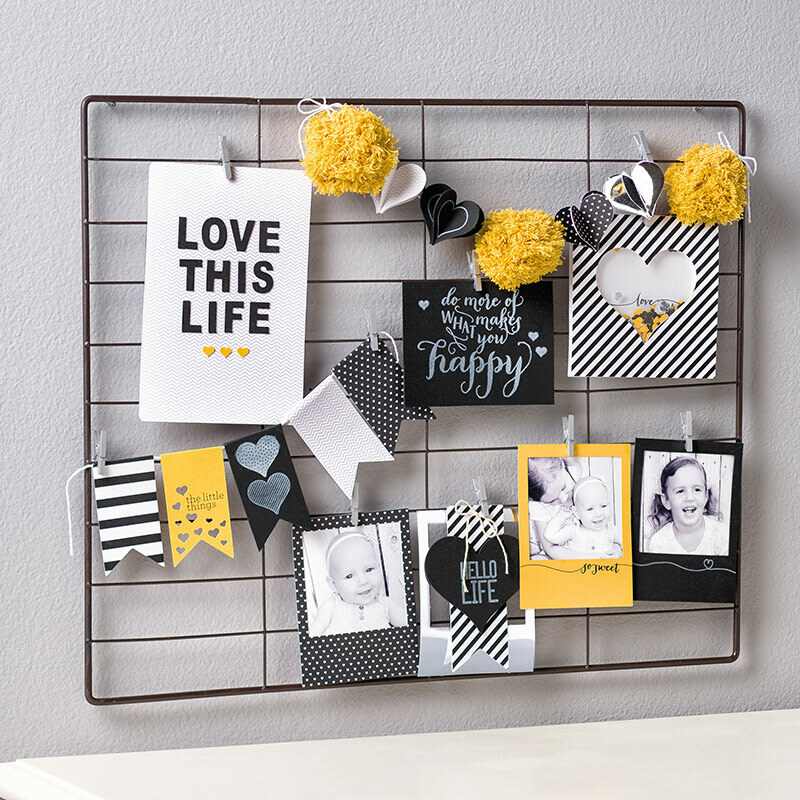 This kit includes all the supplies to create this fun home decor piece on the left. 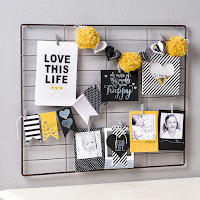 However, you can use the pieces in the kit to create so much more if you'd rather not have the decor piece. 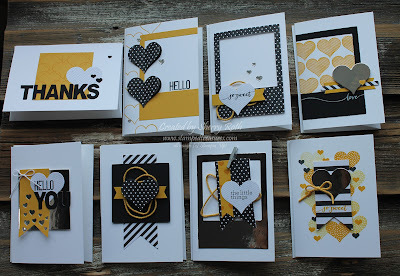 Today I'm sharing some of the cards that were created using the kit. 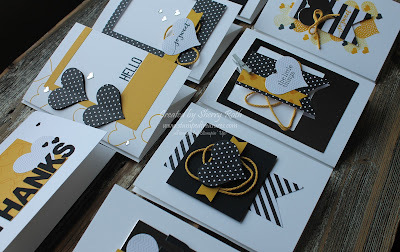 The only additional supplies that were added to the kit were a few scraps of crushed curry cardstock and a package of whisper white notecards! I created 12 cards plus the rest of the projects I will share with you later this week and still had some supplies left over!!! I love kits for the ease of the projects but sometimes it's fun to see what else you can create using the supplies in a kit.